James Bond অথবা Jason Bourne? When I first learned that Universal Studios had a fifth movie planned for their BOURNE movie franchise, I was pleased. I figured that this new movie would continue the story where both the 2007 film, "THE BOURNE ULTIMATUM" and 2012's "THE BOURNE LEGACY" left off. Following the success of the 2007 movie, "THE BOURNE ULTIMATUM", Universal Pictures announced its intentions to release a fourth movie featuring the amnesiac CIA assassin, Jason Bourne. However, their plans nearly folded when actor Matt Damon announced that he would not do a fourth movie. I have read only one of three novels written দ্বারা Robert Ludlum about the amnesiac spy and assassin, Jason Bourne. And it was the 1980 novel - the first one. It was pretty good novel, but it bore scant resemblance to Doug Liman's 2002 movie, "THE BOURNE IDENTITY". Years after Robert Ludlum's famous literary trilogy about an amnesiac CIA agent was published, Matt Damon starred in the movie versions of those novels between 2002 and 2007. Naturally, they became big box office hits and turned Damon into a full fledged action star. The ironic thing is that the three চলচ্চিত্র bore scant resemblance to the novels they were based upon. চলচ্চিত্র আরো like the book. Bring the Movie closer to the book! A gentle 2 ½ ঘন্টা guided walking tour through famous লন্ডন film locations, TV studios, ancient streets, pubs, churches and other places of historical interest taking in the River Thames, The Strand, Fleet St and into the City of London. Visit many of London’s historic landmarks that filmmakers love. See some of your favourite চলচ্চিত্র and TV shows come to life on a tour of over 35 different film locations in and around the City of London. a comment was made to the poll: Is Jason Borune a career fugitive অথবা an assassin? The only time was saw the assassin part was when he wanted to shoot Landy in Supremacy. 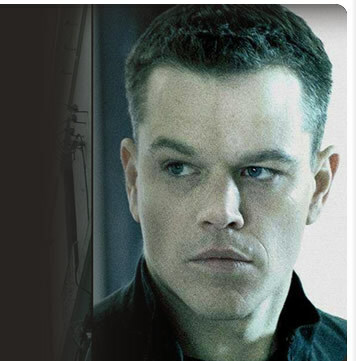 Who is the actor who plays the assassin sent to terminate Jason in the Bourne Supremecy?